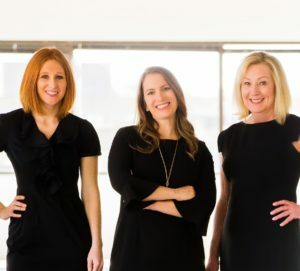 Together, Debra Sutton, Ashley Larson, and Katie Johnson have tried over 90 jury trials in their careers. Sutton Booker’s practice focuses on the defense of corporations and insurance companies in first-party bad faith, premises liability, product liability, personal injury and property damage defense, and appellate practice. Sutton | Booker | P.C. is currently celebrating its 25th Anniversary of providing outstanding legal services. The firm’s goal is to provide high quality, cost-efficient legal services with innovative and progressive approaches to trial advocacy. The firm has developed a reputation as excellent trial attorneys who aggressively defend cases and develop litigation strategies to most effectively and efficiently serve its clients. Sutton | Booker is a member of NAMWOLF, a certified WBENC member, a Martindale-Hubbell AV-Preeminent rated firm, and a member of The Gavel, a nationwide network of vetted claims defense attorneys. Super Lawyers is a rating service of outstanding lawyers from more than 70 practice areas who have attained a high degree of peer recognition and professional achievement. Each year, no more than 2.5 percent of the lawyers in Colorado are selected by the research team at Super Lawyers to receive this honor. The annual selections are made using a process that includes a statewide survey of lawyers, an independent research evaluation of candidates, and peer reviews by practice area.